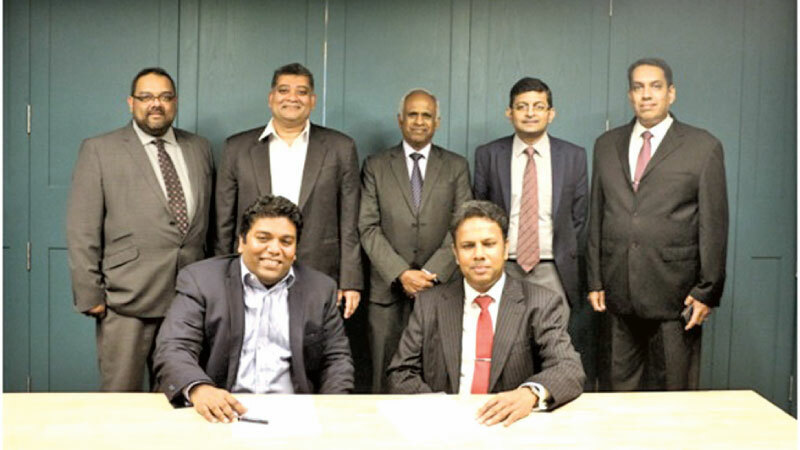 The Sri Lankan Association of Software and Services Companies (SLASSCOM) has signed a Strategic Partnership with Horizon Campus. The signing of this Corporate Sponsorship and Partnership Agreement took place recently by Jeevan Gnanam, Chairman – SLASSCOM and Upul Daranagama, Chairman - Horizon Campus. The event was attended by Ajitha Wanasinghe, Chief Executive Officer - Horizon Campus, Prof. S.J.B.A. Jayasekara, Vice Chancellor – Horizon Campus, Dr. Ruwan Perera, Deputy Vice Chancellor – Horizon Campus, Channa Manoharan, Vice Chairman SLASSCOM and Chrishan de Mel, Executive Director – SLASSCOM. SLASSCOM is the industry chamber for the knowledge solutions industry which is recognized as a thrust industry within the National Export Strategy (NES). It is promoted globally as the “Island of Ingenuity” for world-class knowledge solutions and aspires to reach US$ 5 billion by 2022, powered by over 200,000 skilled jobs in the industry, along with a thriving ecosystem for startup companies. Jeevan Gnanam commented, “Access to highly-skilled talent, conversant with emerging technologies ultimately becomes the most significant determining factor to sustain and grow the industry. Our talent capacity, capability and quality matter and we see this partnership with Horizon Campus as a means to influence all three of these levers to meet the increasing demand of the industry”. Horizon Campus is an established and recognized non-state sector educational institution in Sri Lanka geared to provide an inspiring learning experience to students. Horizon currently offers Ministry of Higher Education approved degree programmes in the fields of IT/Management and Education, apart from its International partnerships with the prestigious University of London and Nilai University, Malaysia. In addition to the main campus in Malabe, Horizon also has multiple regional centres serving students across the country. Upul Daranagama stated, “We see this partnership with SLASSCOM as a key relationship to provide the best outcomes for our students by providing learning geared to the requirements of the industry. We hope this collaboration will provide us with access to leading technologists from the industry to further improve our course content, delivery and ultimately produce the most sought-after IT graduates for the industry”. SLASSCOM aims to collaborate with Horizon Campus to increase the relevance of courses offered by facilitating access to consult and engage with technical experts from SLASSCOM member companies. Furthermore, the institutions also hope to engage the industry in planning and promoting student workshops/seminars, internships and job fairs for students who have currently graduated from Horizon Campus and for those who are currently engaged in fulltime study at the Campus.